Breathing is essential to life. The air that fills our lungs fills our bodies with oxygen so we can function at all levels. Breathing is involuntary, that is, you do not have to think about it. The body automatically does it, just as the heart pumps blood through arteries and veins. But, unlike the heart, breathing can come under conscious control. We can regulate our breath by speeding it up, slowing it down, or even stopping it for a short time. When we are making tea in temae, the speed of procedure is regulated by our breath. By consciously controlling the speed of breathing, we can speed up the movements, or slow them down. If you breathe in when you lift up a utensil, and breathe out when you put it down, you establish a rhythm in your temae. I can tell if students are holding their breath by the speed of the movements. Some movements are so quick that the student would be panting as if they had run a race if they timed their breath to the movements. Some students have asked me what is the correct speed of the temae. If you are breathing your temae, then that is the correct speed. Faster than that, guests will have no time to rest. Slower than your breath gives greater portent to each movement and it becomes ponderous. 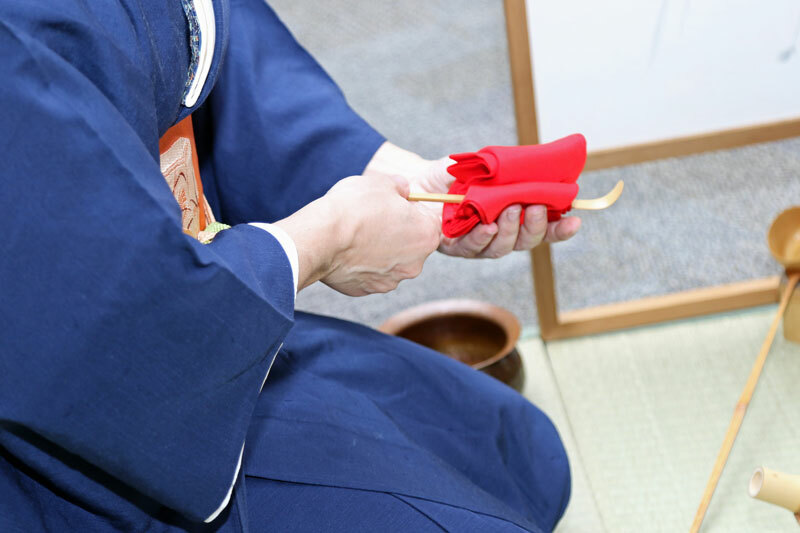 Folding your fukusa at the beginning of temae will set the pace of the procedure. It is easy to see this in yohosabaki where you examine each of the 4 sides of the fukusa before folding it. A magical thing happens when you do this. Guests also begin to breathe with you as you breathe in and out. The room settles down and the energy focuses on the movements of the host. Something also happens with the host. In examining the four sides of the fukusa and breathing in and out, the heartbeat begins to slow down, nervousness evaporates, and the mind comes to the present. The simple act of breathing unites the host and guest and focuses the mind of the host and brings everyone to the present. If you are getting lost in temae, take a few deep breaths and find yourself again. You will see where you are and what needs to be done and you can move forward. 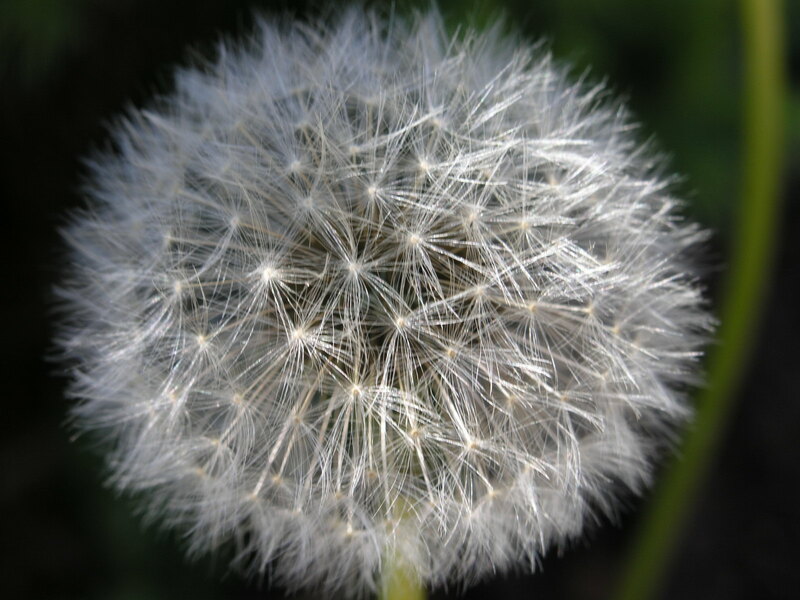 There is a reason meditation focuses on counting our breaths. The act of deliberate breathing helps us control our emotions. When angry, fearful, or upset, the tendency is to hold the breath or breathe very shallowly associated with fight or flight response. This produces a build up of stress chemicals such as adrenaline, lactic acid, and cortisol. Researchers have found these chemicals with rapid, shallow breathing can make us feel chronically anxious, fatigued and disoriented. I also think that the brain is not getting enough oxygen and cannot function rationally. If we take the time to take a few deep breaths, the oxygen gets to the brain and body and we can gain control of emotions to relax and focus.